Hey, San Diego writers! 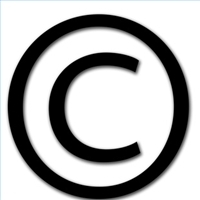 Wondering about copyright and other related legal issues? My friend, Randy Morrison, a lawyer who is also an author, will present the basic concepts of copyright, give examples, and answer questions at the Dove Library in Carlsbad on March 26, 2011, 10:30-noon. The event is being hosted by Publishers & Writers of San Diego. For details, check out the Publishers & Writers of San Diego website.